Paula is being chided by her mother for her excitement in playing the piano for a group of people as it lowers Paula's sense of class to play for others as part of a celebration for a son returning from college. However, Paula is insistent and looks forward to the occasion. It's clear that the mother is acting out of concern and Paula does care for her aging mother. She speaks kind words to her before departing. When she arrives at the house, she is sent to the room with the piano. As she is settling in, a man enters and stares at himself in the mirror admiringly until he notices Paula, which surprises him. The two chat briefly and then she discovers that the man, George is the returning college fellow that the party is for. Paula plays dance music for the guests and people enjoy themselves throughout with George and others joining in the music-making. Paula's performance is well received and as she is leaving, George offers to go with her. She accepts and is excited by this. They have great conversation and she is surprised by such warmth in her. Though she has received affection before, she enjoys George's particularly. However, upon reaching home, she receives news that her mother had died. Months pass and Paula receives entreaties from her mentor, Max for a romantic relationship, which she rejects but he continues to remain in her life. George visits her one night and ask for her hand in marriage. Paula rejects him because she doesn't believe that his perception of marriage will suit her because she wants to continue to be free. He asks again and says to return in a week. When he returns, he learns that she has left the country. The story ends with telling the reading that she did marry Max who was patient and gave her the space she wanted. . I like this as one of the few Chopin stories that don't end in misery for the female. I'm not sure it ends in contentment as the story doesn't quite reveal that part, but Paula doesn't seem to compromise herself, which is of course, a major element within Chopin's work. 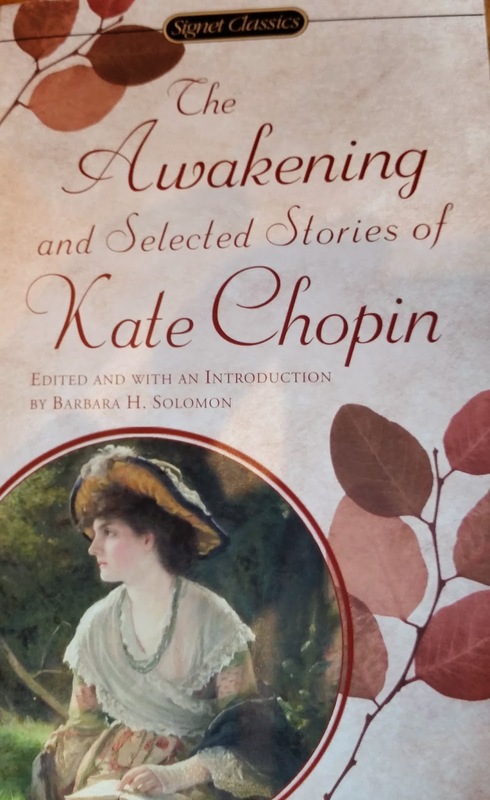 Source: The Awakening and Selected Stories of Kate Chopin, by Kate Chopin and edited by Barbara H. Solomon; Signet Classics, 1976. The story can also be found at this website for free.